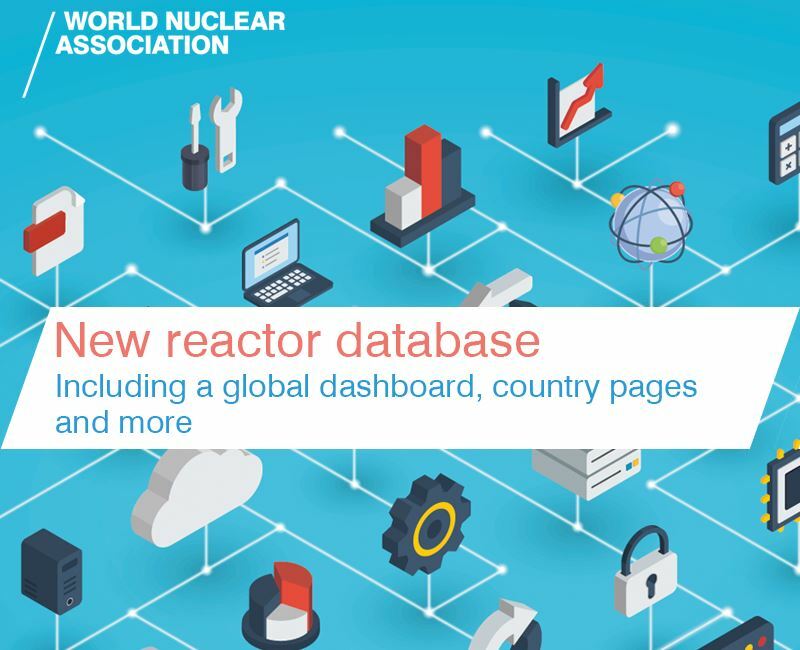 The World Nuclear Association's newly published Fuel Report indicates that, by 2035, the United States might be losing 11 reactor units (reference scenario), losing 30 (lower scenario), or losing two and gaining five (upper scenario). Michael Pacilio, COO of Exelon Generation, says the country "can't possibly meet its carbon reduction goals without nuclear power". 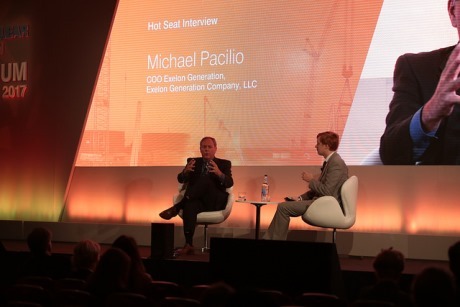 The following is an abridged version of Pacilio's Hot Seat Interview at the Association's annual symposium in London last week. Just recently in the United States, the Department of Energy issued a Staff Report to the Secretary of Energy about electricity markets and reliability. I'll paraphrase: If you believe in the importance of the reduction of greenhouse gases, you like nuclear; if you believe in resilience in the grid, you like nuclear; if you believe from a national security perspective that diversity in fuels is important in America, you like nuclear; if you like the hundreds of thousands of jobs that it supplies, you like nuclear; if you like the tax base that it provides, you like nuclear. 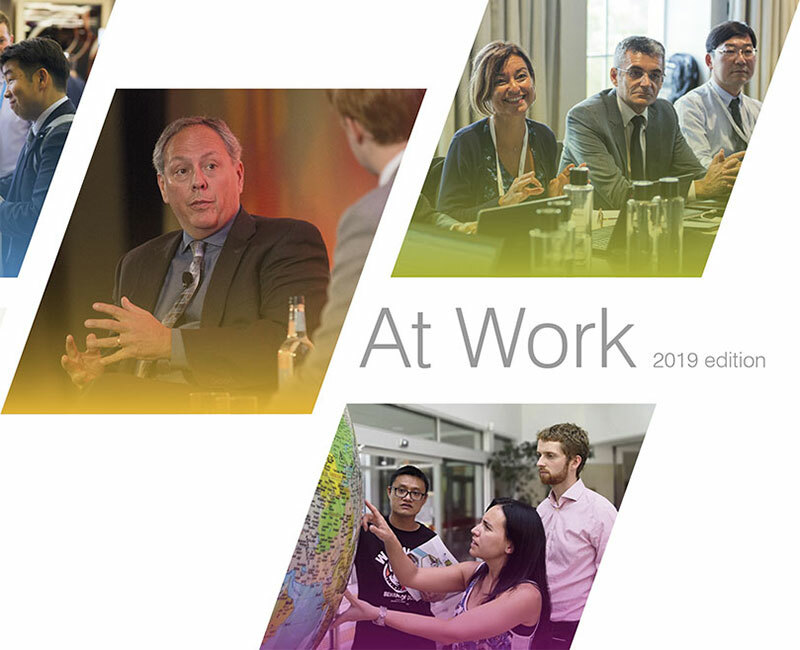 The health and safety of the constituents that we serve and also our employees is Number One for us and I can speak for my colleagues at Exelon and in the industry, operational excellence is key, and we believe we need to be the gold standard, not only for the United States, but also for the world. At all times, we need to set the example. I’m proud to say that for the last 20 years Exelon Generation's nuclear plants have operated for greater than 93% capacity factor. Last year, we operated at a 94% capacity factor. We continue to be able to recruit some of the brightest and best from our universities. So, focusing on operations is job one internally. We had a 22.7 days refuelling outage performance on 14 outages last year and we're proud of that. One of them was a power uprate at our Peach Bottom facility and that was a 31-day outage, so there were many below 20 days. For cost optimisation, we continue to focus on innovation. Our CEO sponsors a symposium on innovation once a year and we fill Baltimore Ravens stadium, where 2500 employees come in, and we look at different ways to do their jobs. 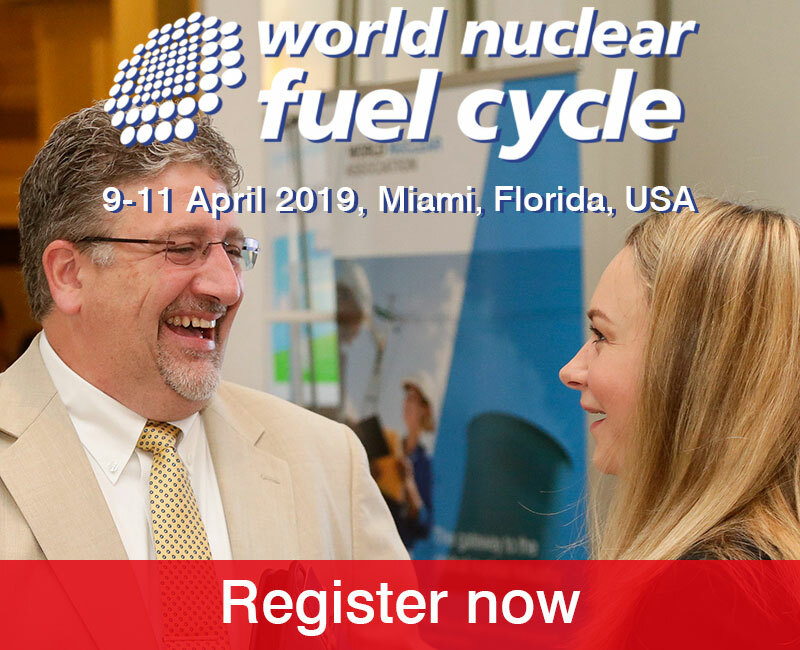 You really have to set the right nuclear safety culture and we have a very self-critical culture within Exelon and within the industry as a whole. You've got to talk about the mistakes that you make and when decisions were made that weren't exactly the best and you've got to learn from them and do better going forward. You've also got to allow the organisation to make small bets and quite frankly, we want to win at everything, but there are some things that are not nuclear-safety related that you can make small bets on and lose. It was a good idea, it didn’t work out; fine, you move on. We've had a couple of states, both Illinois and New York, enact ZEC programs (zero-emission credits) where analysis is done of the impact that particular generators have on the carbon footprint of those states. The programs compensate those generators for the value that they bring, based on the social cost of carbon. Competitors have challenged the policies in court and also from a legislative perspective, but so far we've been very successful in keeping the policies in place, and there are other states that are trying to move down the same path. We're not sure yet which states may introduce a ZEC program but, with the DOE and the success that we've had in New York and Illinois, we feel there's a good opportunity. In addition to that, there's the resiliency aspect, and a national security aspect, that have been recognised by the federal government. Not only President Trump's administration, but also the DOE Secretary Perry has also recognised it. 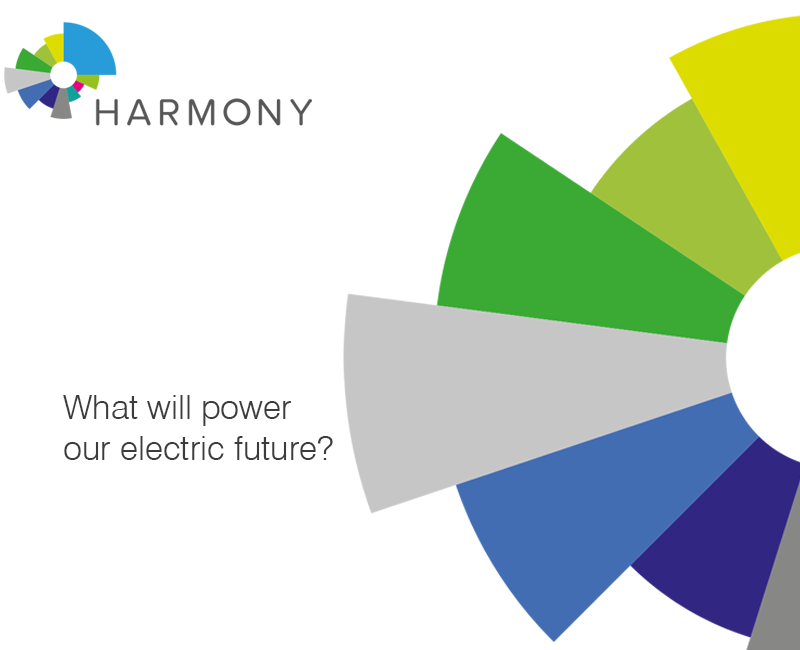 So, there are encouraging signs that others will work with us and the states to put the right market drivers in place that compensate these great assets for the other attributes that they bring to the grid. That's specifically resiliency as well as national security and fuel diversity. America is very large and different geographically, and from north to south very different in terms of weather-related activities and hazards. And when we say an 'all-of-the-above' energy strategy, we really mean that and you can see that in the portfolio we operate. The specific attributes that each one of those sources of generation bring, there's a place for it in the market, but it's not there today. For example, the Quad Cities plant which is a dual-unit plant that sits on the Mississippi River - 910 MW in unit 2, twin-unit BWR. It operated at a 95% capacity factor last year. It's a competitive older generation plant that started up in the 70s. The state of Iowa sits right next to it. Thousands of megawatts of wind are in Iowa, and those megawatts flow into a large system at that RTO node - right about where Quad Cities sits, so it drives the marginal price down at Quad Cities. Fortunately, there are hot days like yesterday, 85 degrees in Illinois, where the peak load requires Quad Cities electricity. It doesn't need it for the other 17 to 18 hours of the say. So, what ends up happening is the RTO operator gives negative price signals to Quad Cities. If truly we believe that electricity is a commodity, then we've got to treat it like a commodity. So, what we would like see happen is that if Quad Cities is needed from a fuel diversity, national security, resiliency perspective, for the low-carbon footprint that it has, then it should be compensated for those off hours. So they don't make money for five hours of the day and pay money for the privilege of operating for the other 17 to 18 hours of the day. That is the current market that's out there right now, at least for the United States. Number one is to allow the states, because they are all different, to work on a ZEC program to put in pricing strategies that put a price on the social cost of carbon. In addition, allow policymakers to put programs in place that give value to the generators for those other attributes that they bring to the grid - resiliency, fuel diversity. Ideally, that would be supported by the White House and regulators. So, we also have to do this market reform because we know that our current fleet is an enabler of the Gen IV reactors - for the future of nuclear power in the United States. We can't possibly meet our carbon reduction goals without nuclear power and I think that's well recognised. We have to give the right venues for new technologies and start-ups to happen, whether it's for military facilities, or government facilities, we have to start with first-of-a-kind and prove the technology and then move forward. The Gen IV reactor discussion, from a legislative perspective, has a lot of bi-partisan support. We have to get the market reforms in place to keep the current fleet operating. I currently have two plants that are scheduled to close post 2019 - Oyster Creek, which is a single-unit plant of approximately 600 MW that sits on the Atlantic Coast of New Jersey, the oldest operating plant in the United States. We will shut that plant down at the end of 2019. We will also shut down Three Mile Island then if we cannot get some of these market reforms in place. We're working on this as an industry as we speak. In the winter of 2014 we had a polar vortex, which settled in over Canada over the top of northern United States. It froze our coal piles, it caused our gas reserves and gas infrastructure to divert most of its gas to residential heating, which took priority. So, many of our natural gas generators could not dispatch and our coal was significantly impaired. Nuclear power carried the day. Our nuclear power fleet ran at greater than 95% capacity factor. Resiliency - regardless of what the weather conditions are. Just recently with Hurricane Harvey in Texas, and there's some serendipity in this, the distribution system was resilient enough and it stayed up, and there were enough power lines to move electricity. But the largest gas distributor in Texas, which moves a lot of gas in southern Texas, was under a force majeure and could not dispatch gas to many of the gas generators in Texas. They couldn't dispatch wind generation based on the hurricane force winds. And South Texas Project carried the day. It ran very well. Those are just a couple of examples of what nuclear power brings to the table. When I mentioned Quad Cities and fuel diversity - you have to consider if you want the carbon advantages that nuclear brings. Today, we could replace it with a combined cycle natural gas plant. I've just built two combined gas cycle plants in Texas - one right outside of Houston and one right outside of Dallas. State-of-the-art GE machines. These are 1100 MW machines that operate at a 6300-6400 heat rate, they cycle at 100 MW a minute, so they literally chase the wind. And they're not coal, so they're environmentally friendly and they can work during drought conditions. But that doesn't help with fuel diversity or when you're trying to reduce your carbon footprint. So, it's an 'all-of-the-above' strategy that we need in the United States. 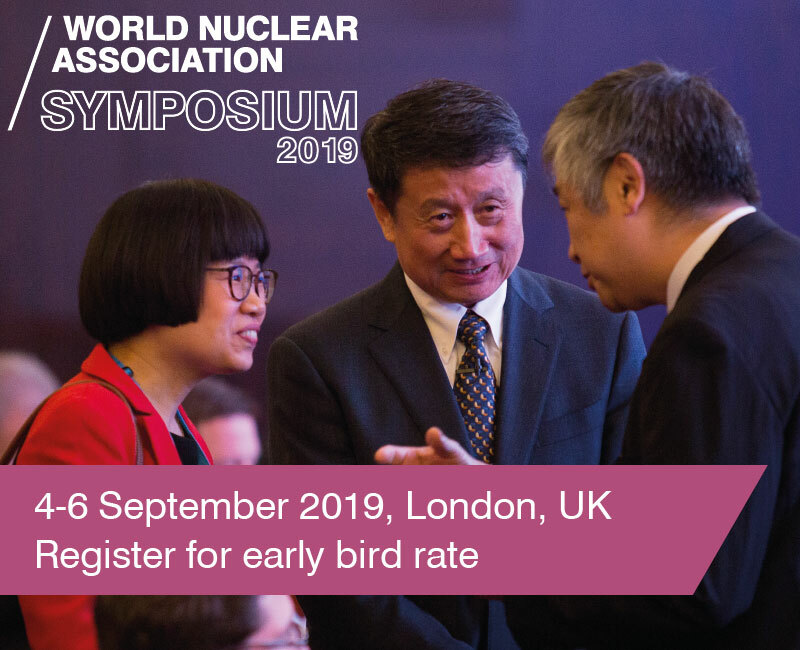 Pacilio was interviewed by Jeremy Gordon, head of information management at the World Nuclear Association.